Diwali is just around the corner and we cant keep our excitement in. Also called the festival of lights, Diwali would be celebrated on 19th October 2017. Diwali celebrates the homecoming of Lord Ram with his wife Sita after 14 years of exile. On the auspicious occasion, families decorate their homes with beautiful diyas (oil lamps), candles, lights and Rangoli. Another indispensable part of Diwali celebrations is its food. From delicious Kaju Katlis ,flaky Soan Papdis, wholesome Ladoos, sinful chocolates to chunky nuts and dry fruits- the feasting around Diwali sure makes it one of the most loved Indian festivals of all times. One may argue that Diwali feasting is slightly more bent towards sweets and desserts, but a look in to Maharashtrian Diwali celebrations has a different story to tell. 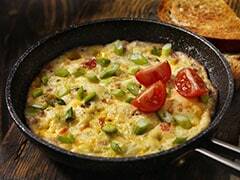 For many Maharashtrians, one of the highlights of Diwali food is the breakfast of Faral, consisting of both savoury and sweet snacks. 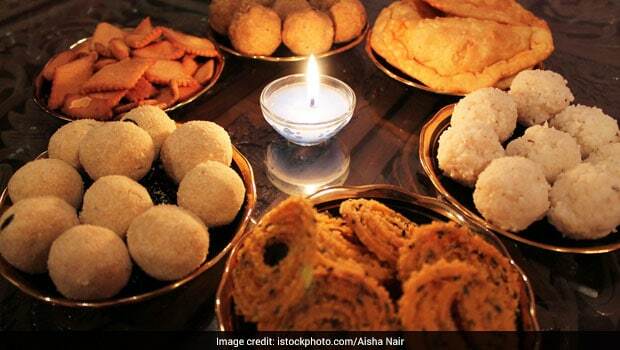 Maharashtrians begin their round of feasting on Choti Diwali itself. This day is also celebrated as 'Narak-Chaturdashi'. This year the Narak Chaturdashi falls on 18th October 2017. On this day, Lord Krishna killed the demon king Narakasura. On this auspicious occasion a 'Kareet' (a type of an extremely bitter green berry) is crushed under the foot by each member of the family, and some of its bitter juice consumed. This kareet is symbolic of Narakasura and the act of slaying him. Some also believe this signifies the lesson of tasting something bitter in life before attaining the sweet rewards. It is only after this ritual that the families proceed towards their round of festive feasting. Faral is a collection of snacks that is relished during the Diwali celebrations. It is offered to guests who drop in at home and even distributed to neighbours. Traditionally these snacks were prepared at home prior to Diwali, but nowadays people buy a handful of faral from stores. From various types of ladoos, the crescent-shaped karanjis, flaky ghee-soaked shankarpale, crunchy chivda or poha and hot chaklis to the flaky chirote dusted with icing sugar; faral is every foodie's dream come true. The idea of faral is to store an assortment of snacks with longer shelf life, which could then be distributed to neighbors or guests who visit during Diwali. 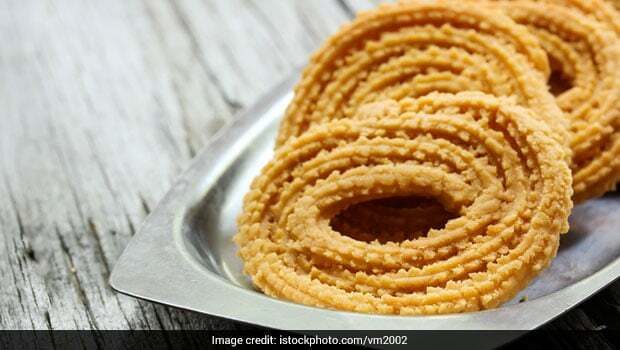 Most of these snacks are popular all through the year, but during Diwali they are made all at once in huge amounts to devour at any given instant. Can't wait to dig in? This Diwali 2017, make some faral of your own and impress the guests coming over with your spread. Here is a round up of most popular faral delicacies that you must try. One just can't stop munching on this quick and crunchy snack of fried rice flake or chivda. To make the treat more wholesome you can also top it with some dried coconut, peanuts, curry leaves and raisins. Also known as Murukku in South India, this crispy snack made of rice flour is not only crispy, delicious and easy but also cracking to look at. 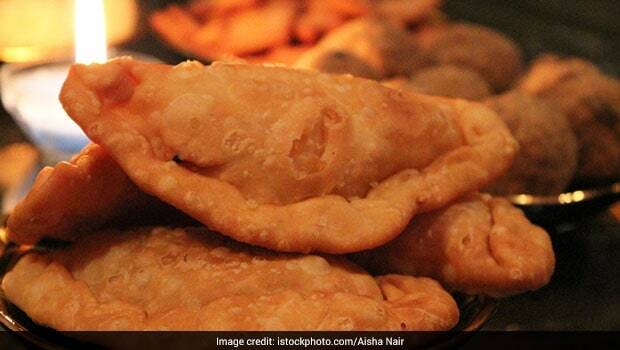 Shankarpali is one of the most popular Maharashtrian snacks and is traditionally enjoyed during festivals. It is also called Shakkarpara in Gujarati and Shakerpara in Bengali. 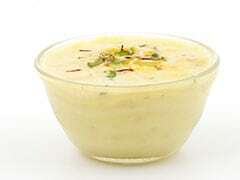 Shankarpali is a sweet treat made with milk, sugar or salt, ghee, semolina, and maida. Shankarpali can be sour, sweet or salty. It has a long shelf life and can be stored easily and savoured anytime. 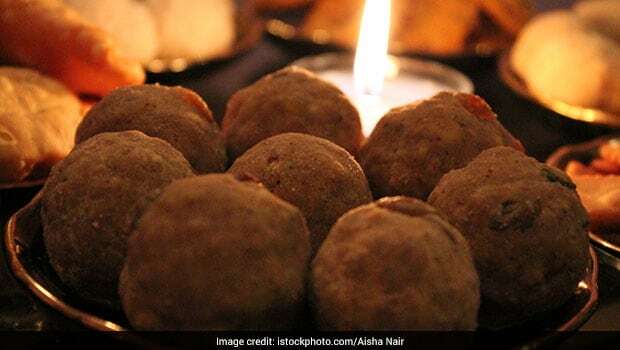 Which Indian celebration is ever complete without the festive favourite Ladoo? These delicious ladoos made with semolina and some crunchy dry fruits, are not only delicious but long lasting too. Call it a Maharashtrian version of Gujia or a sweet fried dumpling, but mention Karanj and a Maharashtrian heart would take an instant leap of joy. Whole wheat and semolina crescent dough parcels stuffed with almonds and raisins dipped in sugar syrup or honey is a must try this festive season. Boondis are deep fried chickpea or gram flour droplets (boondi in Hindi means droplet), often sweetened in sugar syrup and used as prasad in temples. 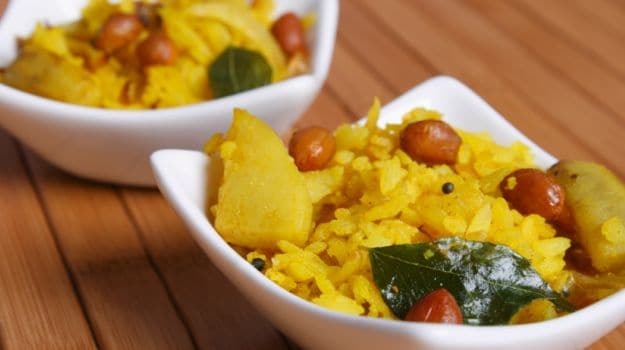 The savoury variation of the droplet-sized delicacy is called 'khara' or 'tikha' boondi. For the preparation of khara boondi, the batter is mixed with spices and salt before frying. In several preparations, crushed curry leaves and spices are added, and the boondis are consumed as a snack along with other namkeens like lentils and peanuts. 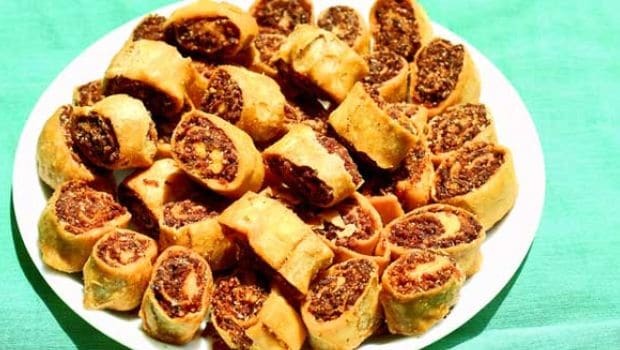 A famous sweet and spicy snack, Bhakarwadi is made with gram flour which is shaped into spiral forms and then stuffed with a mixture of coconut, sesame seeds and poppy seeds. This fried and crispy snack has a long shelf life and can be stored for weeks. 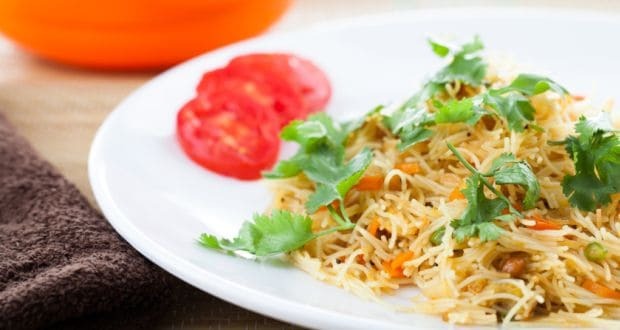 Sev is a noodle-like crispy snack made of gram flour or chickpea flour typically seasoned with turmeric and ajwain (carom seeds) before being deep-fried. They can be enjoyed as a stand alone snack or be enjoyed with chooped coriander, onion and peanuts. The season to binging and feasting is here! What are you holding yourself back for? Make these popular snacks and give in to the festive flavour. Happy Diwali 2017!